I had heard a lot about this place and always wanted to try it but it is a little expensive for a budget foodie like me. So when I heard that Ambrosia is offering upto 70 percent off for the whole of March, I broke into a happy dance and grabbed the chance. 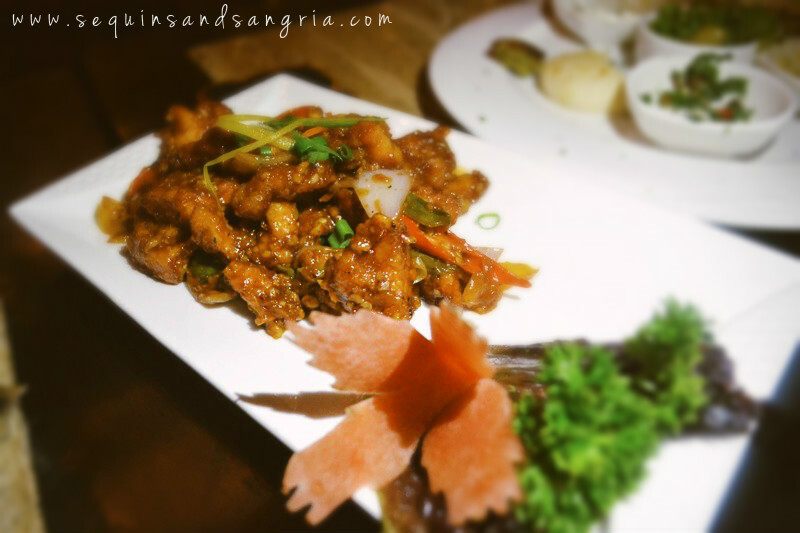 The discount wasn't available on drinks or hukkah, but Ambrosia had a special discounted food menu for all days of March from 11 to 7 pm. Below is everything that I ordered and the bill came out to be just 1300 bucks. Given the quality, taste and ambiance, it was quite a superb deal. The portions were generous and everything was delicious, so I doubt that the preparation was any different than the usual days. For starters, we ordered a Mezze platter honouring the recommendation of the waiter. 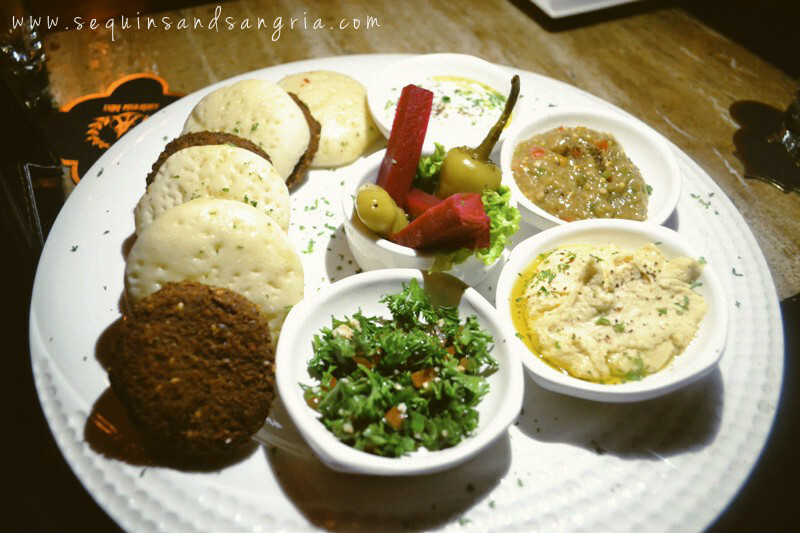 Along with hummus and super-soft pita bread, the platter came with falafel, perfectly smoky babaganoush, and chilled lebneh with cucumber shavings. Also sitting prettily in the middle of the platter were pickled beetroot and chillies that I couldn't get enough of. I am definitely ordering this one on my next visit to Ambrosia. With this, our lunch was off to a great start and our expectations rose too. Next came the Chicken tikka, which I didn't taste because I'm a vegetarian. However, observing the content expressions of my friend who was eating it, it was quite clear that it too, was delicious. 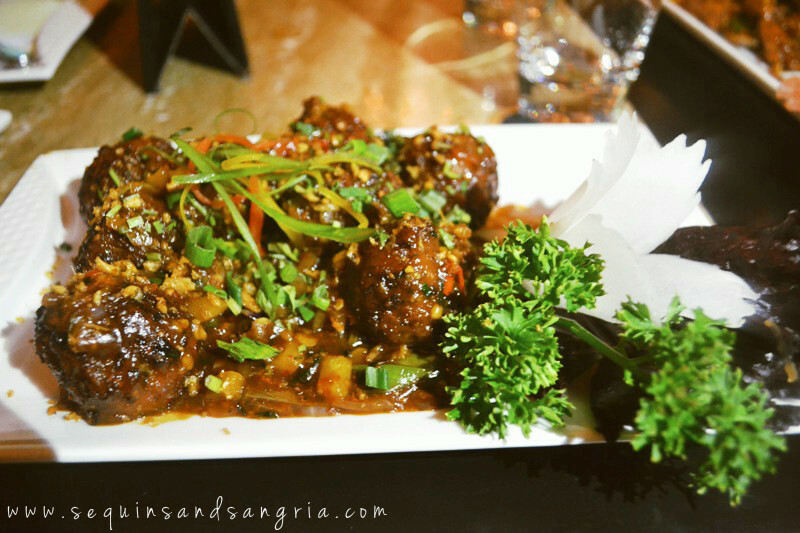 I ordered a dry veg Manchurian and boy, do they take garlic very seriously. I'm not complaining though, there's no such thing as too much garlic when it comes to Manchurian. 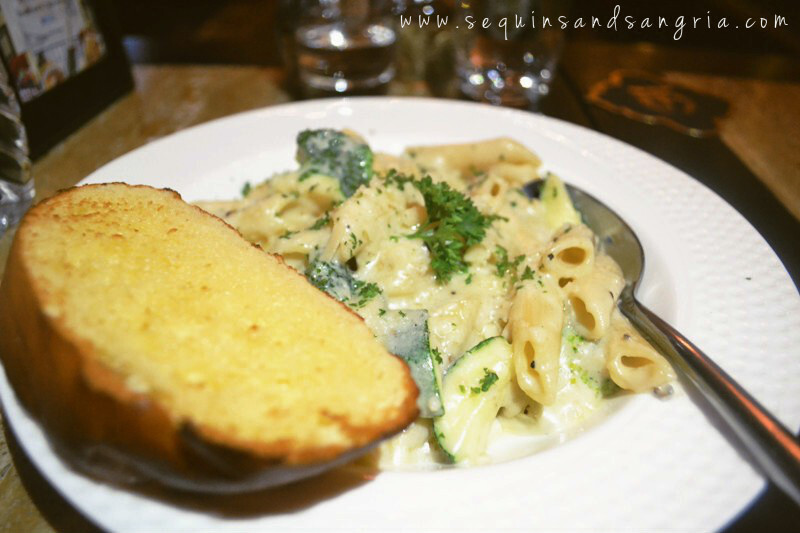 We then ordered a Penne Alfredo that was so creamy and so cheesy that I wish it never finished. The only veggies I could spot were broccoli, zuchini and mushrooms topped with black olives- and this is all I need in my pasta. I also loved, the toasted garlic bread- it was buttery and did not have a very over-powering flavour of garlic. I was quite full by now but wanted to try the mushroom and cheese nuggets so badly! May be another time. It was now time for my absolute favourite part- ordering the desserts. 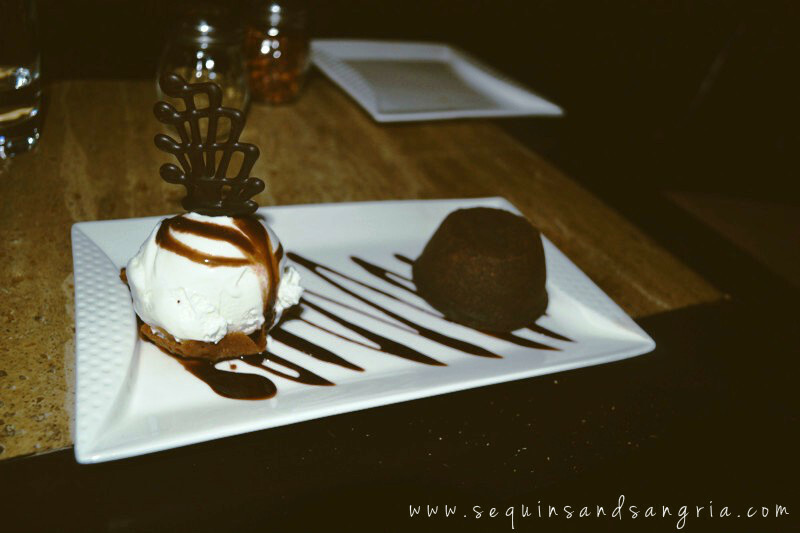 We ordered a Molten Lava Cake and it was too pretty to eat. A scoop of vanilla decorated with chocolate syrup came on the side. It was quite a moment when we took our first dig into the cake as hot chocolate oozed out like a dream. Naturally, it was over and done with in 20 seconds flat. Ambrosia is particularly known for its tasteful interiors and lighting. 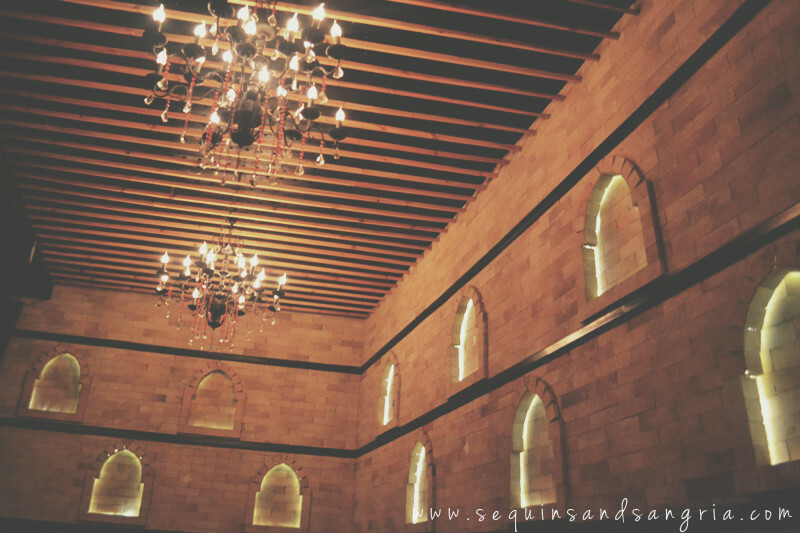 The restaurant has fine dining seating, private seating, outdoor seating and a dimly but beautifully lit lounge. We chose the lounge and it was comfy enough for a meal and conversations. It was a great experience and I can't wait for another season of its 'food sale'. Every dish we ordered was better than the previous one and even though our tummies were full, our hearts surely wanted more. 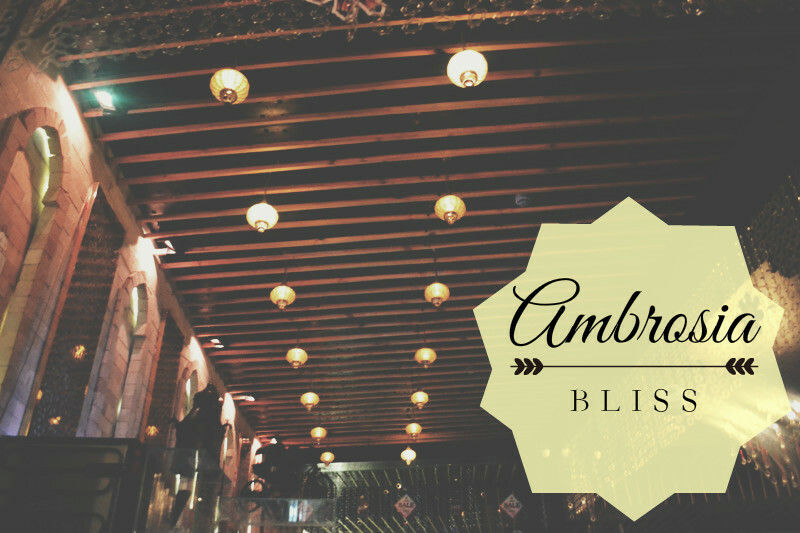 For it's lovely ambiance and great food, Ambrosia Bliss gets a 4 out of 5 from my side.